Earlier this year I read Stefan Paas’ book on Church Planting in The Secular West. It’s a fabulous book. It’s sobering in that he basically says the ground is hard so it’s going to be slow hard work. 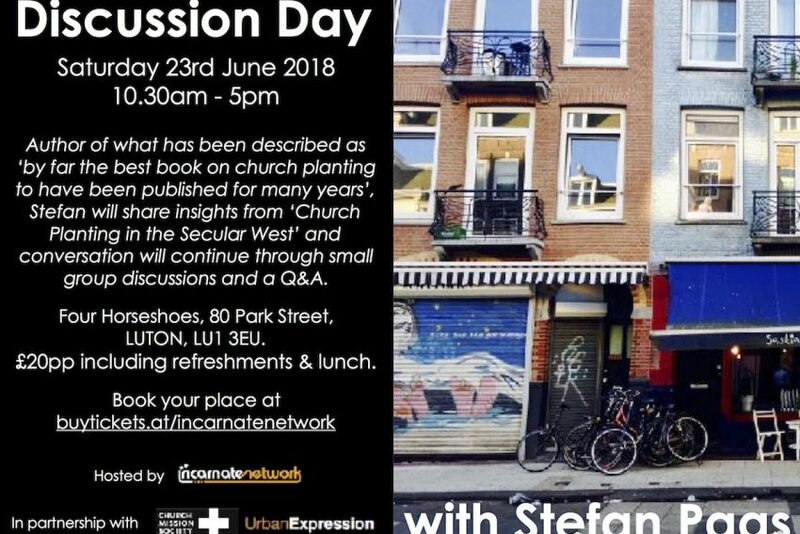 He also looks at some of the research and politely (well sort of Dutch polite) says it’s optimistic and gives what I think is the best discussion of church growth I have seen. And he ends up discussing innovation as a good way of approaching the challenge – I loved this part where he explores the idea of free havens, incubators and laboratories as ways of thinking about church innovation. He is based in the Netherlands and the research is into UK, Germany and Netherlands. It’s highly relevant for a UK audience. When I heard he was coming over I was excited at the opportunity to meet him and discuss his ideas. So I’ll be going along to this day on June 20 in Luton. It’s only £20. Hope to see you there. It’s a partnership with the Incarnate Network, CMS and Urban Expression.